You're here because you are courageous. You fight for what's right. You defend your friends. And most of all, you're here because that's where the Sorting Hat said you should be! Gryffindor for life! But since you're not at Hogwarts, how will you let everyone know your favorite house? How will they know you side with Harry Potter against He Who Must Not Be Named (we'll name him! We're not afraid! Voldemort!)? We know of one way to send a message to all wizards and witches out there. No, not by owl or flue powder. No, use this scarf around your neck. With this, you'll connect with your fellow magic-users and muggles will be none the wiser. Besides, you do look quite fetching in maroon and gold, don't you. 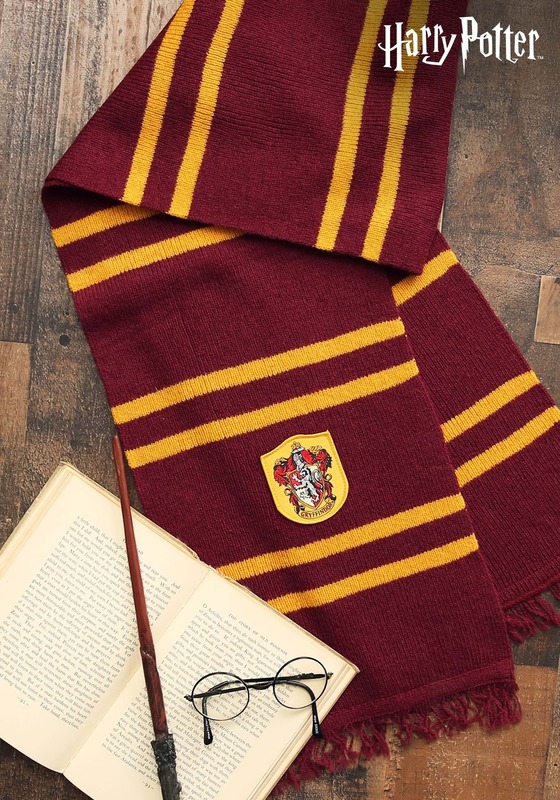 Whether its during Quidditch practice in the fall or out for a walk in Hogsmeade, this scarf will keep you warm and cozy, just as Godric Gryffindor always wanted.